Elisha Winn was born in Lunenburg County, Virginia, on June 25, 1777. His mother, Philadelphia, died when he was a boy. His father, Thomas Winn, remarried; and because of difficulties with his stepmother, Elisha left home and joined his older brothers in South Carolina. All of the brothers then moved to Jackson County, Georgia. In 1802 Elisha married Judith Cochran in Jackson County and they built a home near Mulberry River. 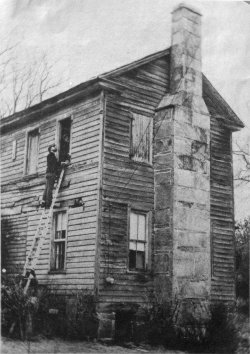 Subsequently, he moved to the Elisha Winn House site a half mile from the Appalachee River, where he built this house in 1812. The Winns had 13 children: Mary, Philadelphia, Elizabeth, Jane, James, Judith, Richard, Thomas, William, George, Augustus, Martha Ann, and Elisha. Eleven lived to adulthood. Their son, Judge Richard Dickinson Winn, helped to preserve much of Gwinnett's early history in his biographical sketches of the county's pioneers that were printed in the local newspaper. At age 13, his daughter Philadelphia married in this house to William Maltbie who ran Hog Mountain Store (two miles away). He was later one of the founders of Lawrenceville, the town's first postmaster, Clerk of the Inferior Court, and later a Justice of the Inferior Court. Philadelphia (Delphia), is buried near her parents. Daughter Martha Ann married Clark Howell who was well-known in Atlanta politics. Son James Cochran Winn was killed in 1836 in the Mexican War. Jane Winn's husband, James Martin, was killed by Creek Indians in 1836 and is buried on the courthouse square. Daughter Betsy married and moved to Texas, where she was murdered. About 1824 the Winn family moved to Lawrenceville for better school facilities. 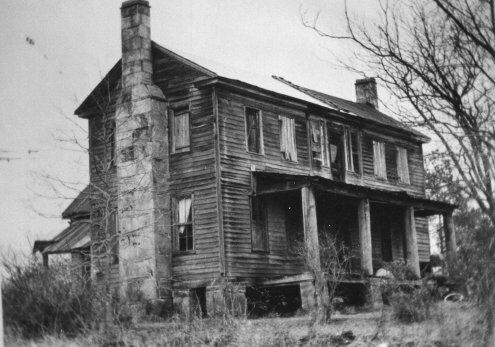 Later, Elisha built on the Cedars place west of Lawrenceville where he lived until his death. He and his wife are buried in the old cemetery on E. Pike Street, off Highway 29 in Lawrenceville. 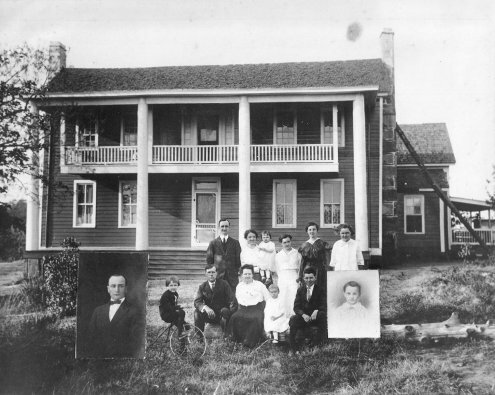 Prior to the Gwinnett Historical Society buying the house and three acres in 1978, owners other than the Winn family included the Ambrose family, the Sims family, and the Baptist Association of Texas. Jacob Marquis Ambrose (see portraits in upstairs bedroom) conveyed 500 acres of land that included the Winn House to his son-in-law, Jackson Longstreet Sims, Sr., November 30, 1896. About 1918, Jack Sims spruced up the house: painting it green with white trim on both the windows and "swinging porch." The Historical Society bought the property October 26, 1978, from the Baptist Foundation of Texas and the Rev. Olyn Sims, son of Jack L. Sims, Sr. for $12,000 mortgaging the property for 10 years for a $9,600 note. The Society then sold the property to Gwinnett County. 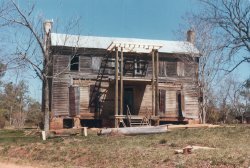 In February 1979, the county made a 25-year lease of the property to the Gwinnett Historical Society for restoration purposes. The lease was renewed in February 2004 for an additional 25 years. The Elisha Winn House, its out buildings, and the 19.2 acres on which they sit make up the Winn House. 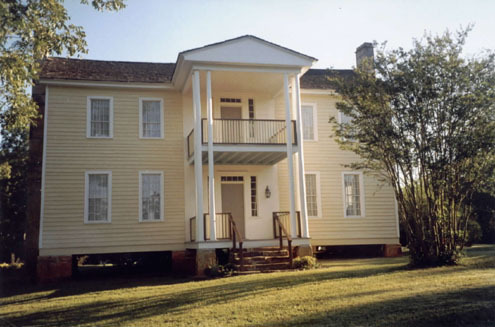 The buildings are a rehabilitation project of the Gwinnett Historical Society. When the Society purchased this old home it was on three acres in then rural Gwinnett County. In the mid 1980s, as development in the area increased, the Society became interested in adding an additional 20 acres of land to the property to protect the property's historical significance and to allow for the opportunity to develop the property into a working village or living museum concept. The Society was not successful in this endeavor. However, in 1990, efforts by a developer of the adjoining land led to the potential for the donation of some land by the developer to serve as a buffer between the historic site and a proposed golf course. During that year, the proposed amount of donated property fluctuated from a low of three acres to a high of 20 acres, with area residents and the Society suggesting as much as 50 acres be donated in order to develop a working village. By December 1990 it was generally agreed that the developers would donate 16 to 20 acres to the county for the Winn House within two years. Finally, in 1994, 16.2 acres were deeded to the county, four of which were located across the street from the main property. Plans for a working village never came into being, although several buildings in support of such a project were donated and moved to the property over the years. This permits the Society to demonstrate on a limited scale such arts as weaving, candle making, tatting, quilting, and butter churning at their annual Elisha Winn Fair. Limited resources and the creation of a working 1930s farm at McDaniel Farm in Duluth in 2004 have generally eliminated the potential for developing the Winn property into a living museum in the near future. The house was unique for its age because it contained the original fireplace mantels, doors, and stairs. When purchased, the Society estimated a 2&half;-year rehabilitation period at a cost of $60,000. The Society sought designation of the house as a historic site in a request in December 1978. A Historic Preservation Team toured the home in March 1979, and the house was entered on the National Register of Historic Places on December 18, 1979. On April 25, 1987, a Georgia Historic Marker was dedicated at the site by the Georgia Department of Natural Resources (the seventh such marker in the county at that time). On November 20, 1999, Atlanta Chapter #18 of the United Daughters of the Confederacy dedicated a historical marker for the interior of the house.